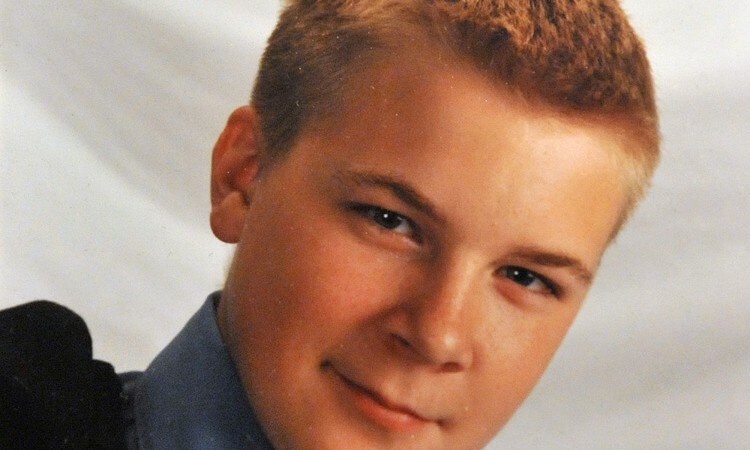 The decision by the Cook County state’s attorney’s office not to charge a nephew of Mayor Daley in the one-punch death of 21-year-old David Koschman in 2004 hung largely on the fact that witnesses couldn’t positively identify the nephew, Richard J. “R.J.” Vanecko, in a police lineup, according to prosecutors. State’s Attorney Anita Alvarez and the Chicago Police Department have refused to release photographs, though, of that lineup and of a second lineup in which witnesses identified two other men as being there with Vanecko when he threw the punch in a drunken confrontation on Division Street at Dearborn in the early morning hours of April 25, 2004. Now, the police are asking Illinois Attorney General Lisa Madigan’s office – where one of the two retired detectives who supervised those lineups now works – to ensure that those pictures, as well as some other records, aren’t made public. The police department and the state’s attorney’s office have faced questions about their handling of the Koschman case following reports in the Chicago Sun-Times that revealed inconsistencies between what four Koschman friends and a bystander say they told the police about the confrontation and what police reports say they told them. The police portrayed Koschman as having been physically aggressive with Vanecko and a group of his friends. Koschman’s friends and the bystander say Koschman traded obscenities with them but was never violent. Joseph Ferguson, the city of Chicago’s inspector general, is now investigating the police handling of the homicide investigation. One of Koschman’s friends has told the Sun-Times he thinks he identified Vanecko in the May 20, 2004, lineup, despite the police telling him he picked out one of the other five men in the lineup – all of them Chicago cops with looks and builds similar to Vanecko, records show. After taking a second look at the evidence earlier this year, the police closed the case on March 1 without presenting it to the state’s attorney’s office. They concluded that Vanecko punched Koschman but did so in self-defense and shouldn’t face any criminal charges even though he and a friend, Craig Denham, ran away afterward. The two men left behind two other friends, Kevin McCarthy and his wife, Bridget McCarthy. At first, the McCarthys told the police they didn’t know the two men who ran away. Eighteen days later, they admitted that they did, records show – and that they’d shared a cab with them to Division Street just before the confrontation. After detectives found out that Vanecko and Denham had been there, they put Vanecko, Denham and Kevin McCarthy in lineups. Bridget McCarthy – who told the police she didn’t see anyone punch anyone – didn’t view the lineups. Neither Koschman’s friends nor either of two bystanders positively identifed Vanecko, according to the police. Three of Koschman’s friends were able to identify either McCarthy or Denham. Area 3 detectives put together the lineups. For the Vanecko lineup, they found five police officers who looked a lot like the 6-foot-3, 230-pound Vanecko, according to police sources and prosecutors. One of the officers, Pete Kelly, is a familiar face to many, having moonlighted as a bouncer on “The Jerry Springer Show,” which for years was taped in Chicago. On the morning of May 20, 2004, – 25 days after Koschman was punched and 14 days after he died at Northwestern Memorial Hospital of the brain injuries he suffered when the back of his head hit the street – Vanecko, Denham and McCarthy, accompanied by attorneys Terence Gillespie and Bill Dwyer, came to Area 3 headquarters at Belmont and Western for lineups overseen by Yawger and another since-retired detective, Patrick J. Flynn. Vanecko was in the first lineup. It started at 11:16 a.m. and lasted about 15 minutes. He chose to stand in the second position. Each of Koschman’s four friends and the two bystanders separately viewed that lineup, police reports show. Flynn was inside the lineup room with Vanecko, while Yawger remained outside the room with the witnesses. Two of Koschman’s friends – Scott Allen and Shaun Hageline – each picked out a man they said was the one who knocked Koschman to the street. Allen – who said he was standing next to Koschman – has told the Sun-Times he believes he picked out Vanecko, but the police told him and Hageline that they each picked the wrong man. According to a report filed by Yawger, one of the Koschman friends pointed to Kelly – the Springer bodyguard – and the other picked out another police officer, Hugh Gallagly, who, like Vanecko, had played varsity football in his high school days. Koschman’s other friends – James Copeland and David Francis Jr. – and the bystanders – Phillip Kohler and Michael Connolly – couldn’t “positively identify anyone,” according to the police. After the lineup, Vanecko left without talking with the police. While the police were re-investigating the case earlier this year, Koschman’s friend Hageline said a detective told him Vanecko had shaved his head before appearing in the lineup. After the lineups, the two bystanders left the police station, and the detectives and Assistant Cook County State’s Attorney Darren O’Brien interviewed Koschman’s four friends.